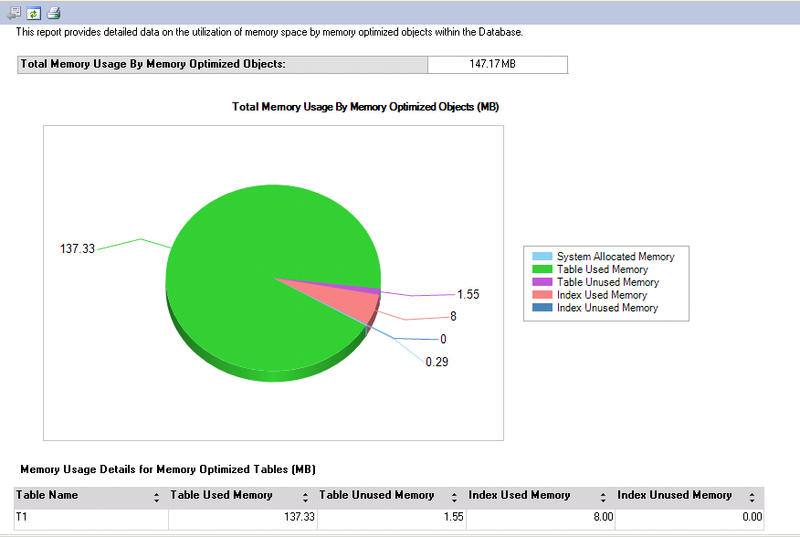 Starting SQL 2014 monitoring memory usage of the memory optimized objects is super important to ensure that your instance don’t run out of memory and cause real bad situations. 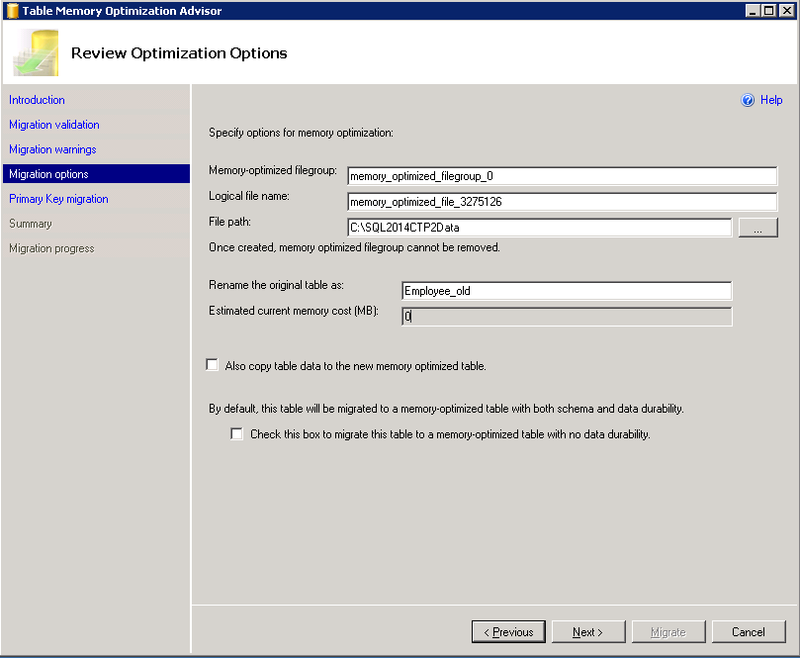 One way of ensuring that the memory optimized objects wont utilize a certain amount of memory is by setting up resource governor. 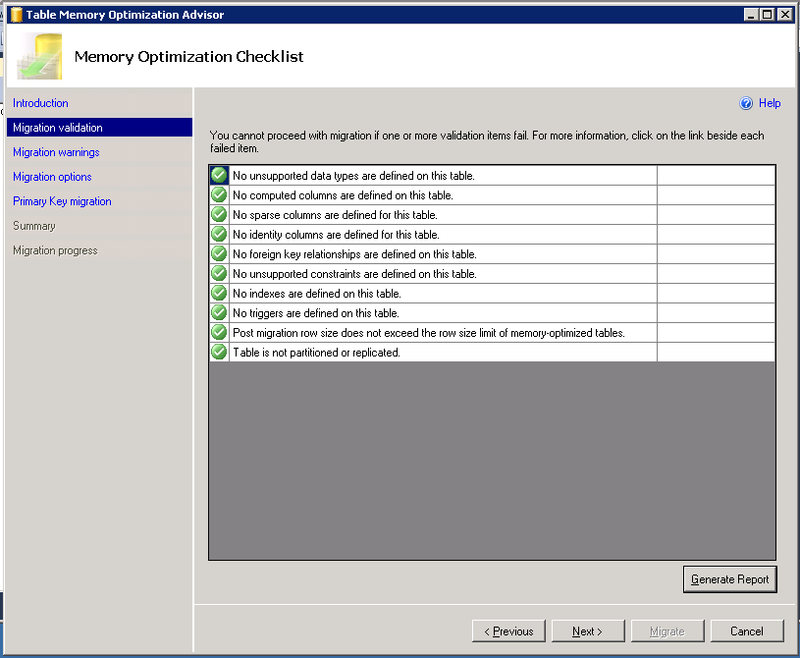 This is a great level of control when you have multiple databases running on the same instance and you don’t want memory optimized tables eating up the whole memory. 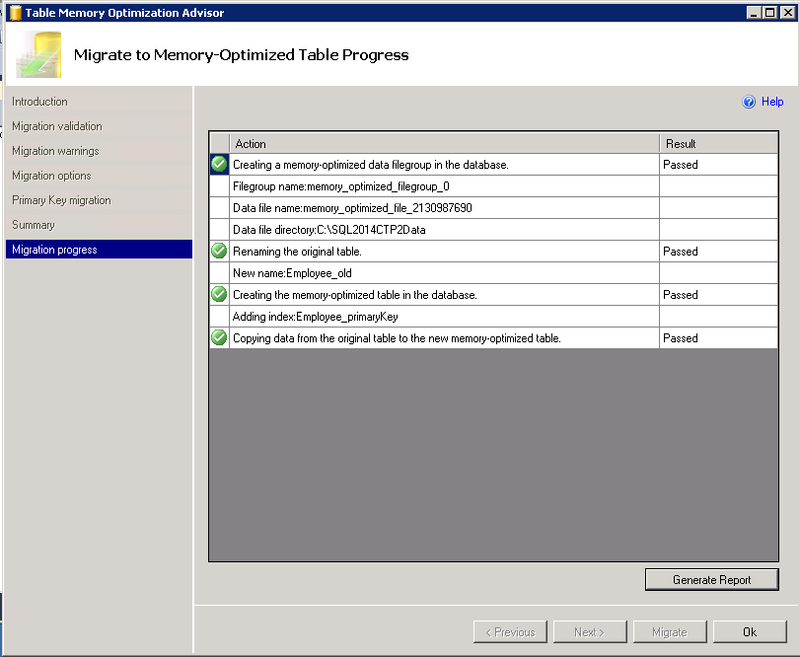 Is there an easy way to get a quick overview of memory usage of the memory optimized tables in SQL2014? 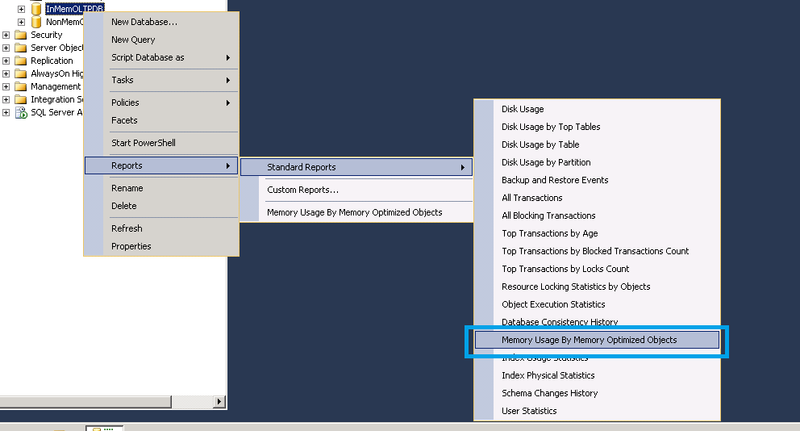 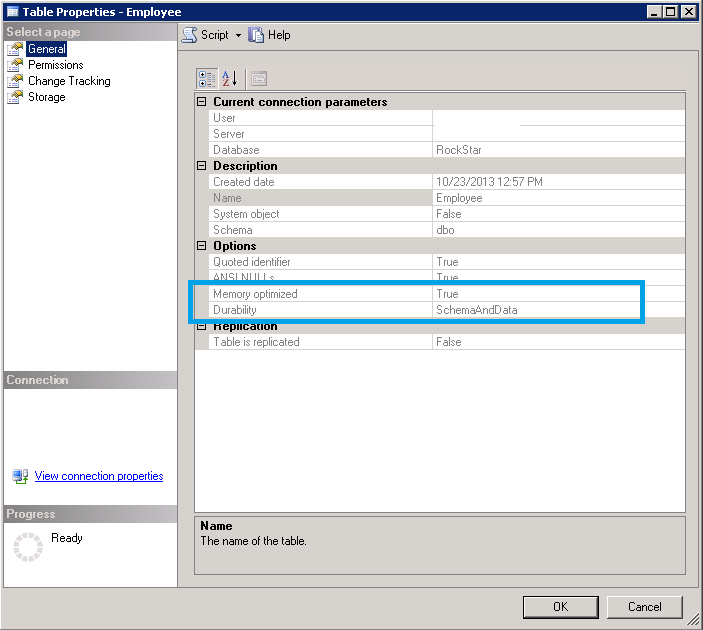 Yes, you have a real good SSMS report just for this purpose. 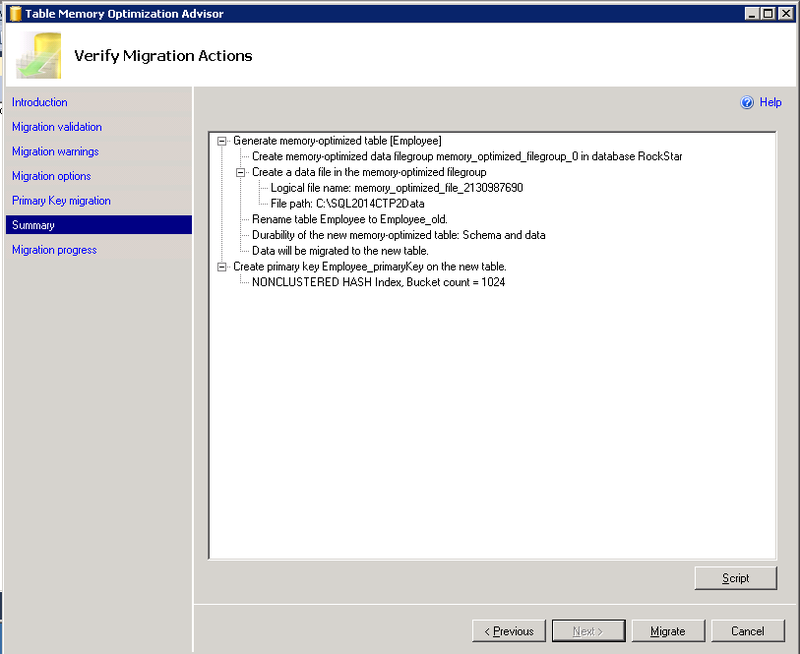 This one report utilizes DMVs under the hood and provides you with some valuable information. 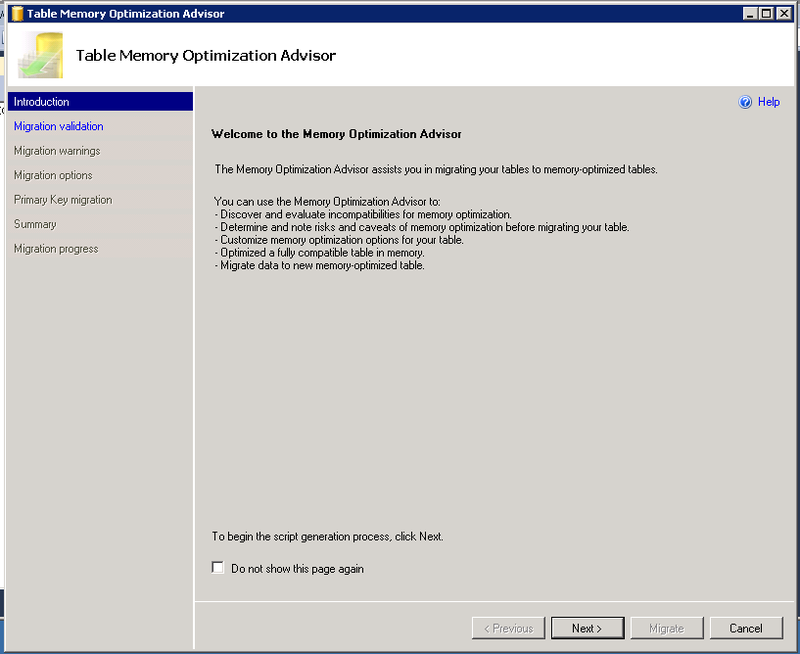 At any point of time I will be interested to see the usage of Table Used Memory counter. 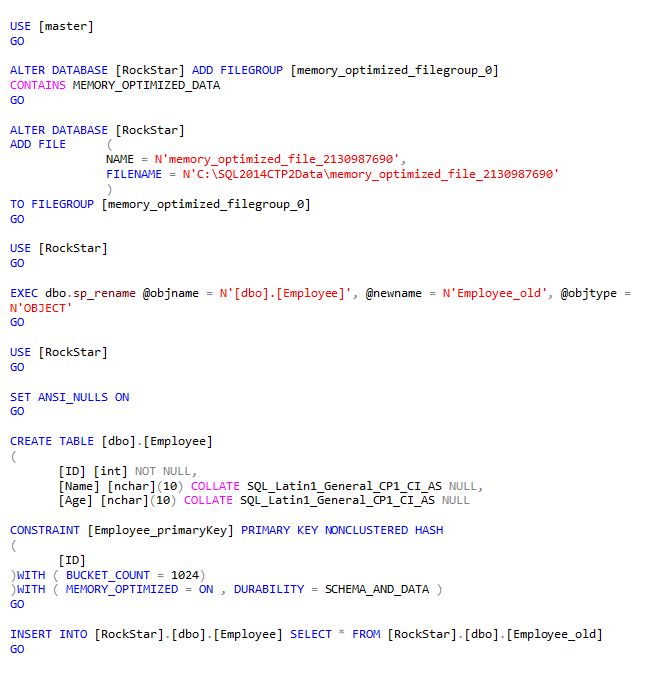 Index Used Memory is based on the bucket count which you mention during non clustered hash index creation. 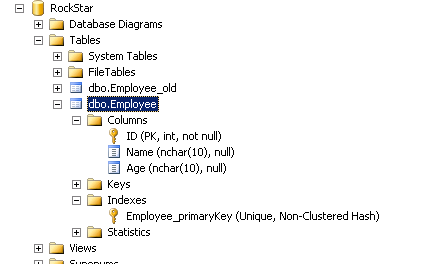 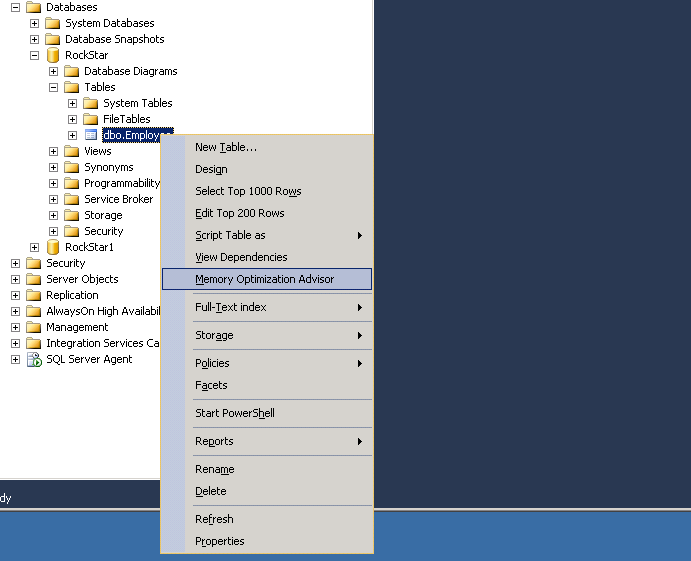 SSMS reports are great ways to get a quick overview of what is happening, and I expect more and more powerful reports getting incorporated to SQL 2014 during the coming days.